Great tour. Valerie, our tour guide, was very high energy and fun for teens with us. Mini bus comfortable and thankfully air conditioned. Really interesting and informative. Wish driver/tour narrator didn't reek of cigarettes and spoke a little slower. Bill did a wonderful job taking us around Charleston. He educated us on the history of his woundedful city. 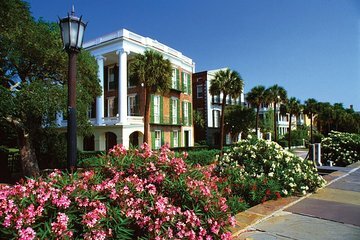 A very interesting overview of Charleston. We drove through the Historic district and visited the Citadel. Then to the Battery and view of Fort Sumter. Our guide was excellent keeping us informed with the history of the area. Would recommend. So glad we chose this tour on the bus as opposed to the horse drawn buggies. It was extremely hot and humid in Charleston and the air conditioning was much needed. The tour was very informative and we covered a lot of Charleston. Only drawback was that it was difficult to understand our guide at times.